This webinar will applaud our efforts at bedside spiritual care while stretching us to think about how this ministry is translated, valued and understood in our executive boardrooms. Ultimately, this webinar will profit us by reminding us of what we may have forgotten about those steering the organizations we serve. We will hear passionate voices from those in the C-Suite who face pressures just like our own hospital administrators. What makes this webinar unique is that we will "eavesdrop" on a Q&A session within the context of discussing chaplaincy services by those who strive to balance mission and margin. These stewards of institutions entrusted with the health care of communities' bodies, minds and spirits speak from the non-sectarian side of the health care street. Let us glean wisdom from their raw unfiltered words because we can be faithful to our calling, without selling our souls, while helping improve outcomes through alignment of services and strategic interdependent relationships. 1. Understand and appreciate health care executives' needs, and their views on mission and margin. 2. Gain strategic tactics to present and align chaplaincy as a value-added service line with direct bottom-line impacts. 3. Become familiar with qualitative research from a five-question survey from C-Suite health care administrators giving voice to their passion and compassion. Who should attend: All who strive for faithfulness and success in serving the spiritual and emotional needs of their organization from bedside care to boardroom consultation. Rev. John Simon MDiv MTS BCC is the director of Integrated Patient Experience and Corporate Chaplaincy at Westchester Medical Center in Valhalla, NY. Previously, Simon was the founding director of Spiritual Care Services at Vassar Brothers Medical Center for 10 years, where he built a nationally-recognized best-practice service of addressing patients and staff spiritual care needs. An ordained American Baptist clergy of 25 years, Rev. Simon also serves as the senior pastor of the historic Second Baptist Church of Poughkeppsie, NY since 2009. He is a BCCI board certified chaplain since 2002 and serves as a current APC board member. Simon is a graduate of Yale University School of Divinity and the Iliff School of Theology. 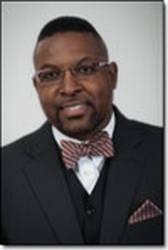 Professionally trained as an internal auditor in his first career, Simon received his bachelor of business administration from Prairie View A&M University. He is a lecturer, panelist and writer on issues of chaplaincy leadership integrating business and soul care. A nationally recognized speaker in the field of professional chaplaincy, Simon was an "APC Strong Talk" plenary speaker in June 2014 at the APC conference in Anaheim, CA. He addressed the topic, "Chaplaincy Integration, Impact & Outcomes: A Test Case." Attendee's responses to his lecture included, "amazing and inspiring," and, "...is a light to the APC world! Wow!" Most recently, Rev. Simon was a panelist at the Hudson Valley Chapter of the Alzheimer's Association's 10th Annual Conference on Caregiving in November 2014 addressing the topic, "The Resiliency of Hope: How it changes through time and experiences."